In celebration of Mary Wollstonecraft (1759-1797), author, early feminist and human rights advocate, teacher, and mother of Mary Shelley, the artist and publisher Louisa Albani will be hosting an open weekend at St Pancras Old church in collaboration with Heritage Open Days. The event comes off the back of Albani’s recent pamphlet Ghost Ship, which was inspired by Mary Wollstonecraft’s Letters from Norway. 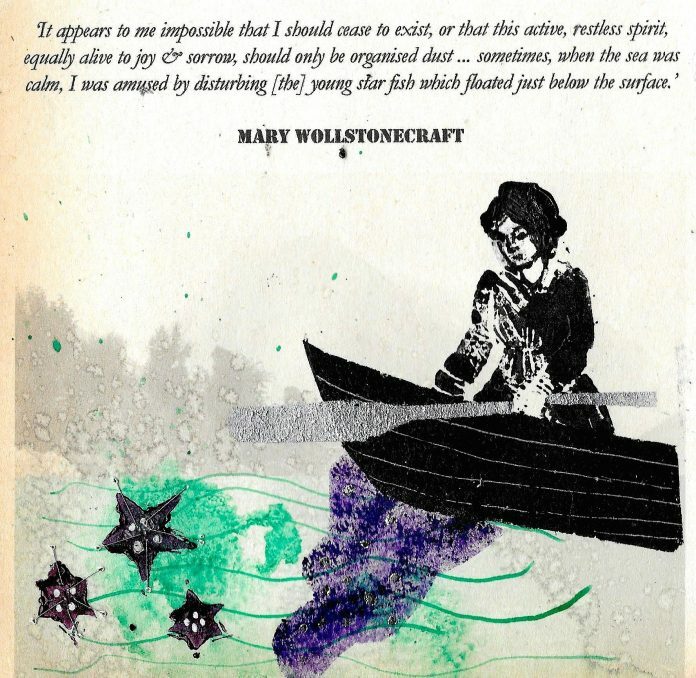 In 1796, Mary Wollstonecraft embarked on a trip to Scandinavia with her young daughter, and wrote the twenty-five letters that form her Letters Written in Sweden, Norway and Denmark, to her lover Gilbert Imlay. The letters are filled with her own philosophical reflections, and sociological observations about the countries she was visiting. Wollstonecraft describes in her work incredible scenery which greatly influenced Coleridge and Wordsworth, among many others. 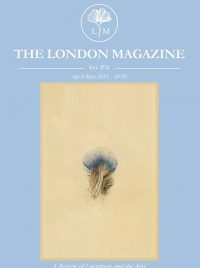 The free exhibition will be an expansion of the ideas and paintings from Albani’s recent pamphlet, which reprinted Wollstonecraft’s letters alongside information about her life and time in Norway, and original artwork. 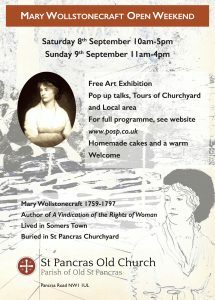 There will also be a number of pop-up talks about the life and work of Mary Wollstonecraft, and early feminist ideals, hourly tours of the local area of St Pancras and its rich literary heritage. A weekend full of literature, history and homemade cake.